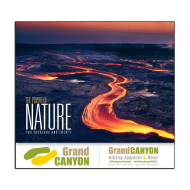 The Mines Press selection of promotional wall calendars will showcase your brand all year long. For decades, this time-proven marketing product has been a cornerstone in helping insurance agencies achieve their promotional goals. 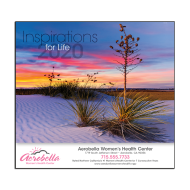 Choose from a variety of customizable wall calendars! 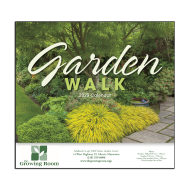 Year after year, promotional wall calendars have been a proven method of marketing because they are useful and they draw attention. Without realizing it, people glance at a wall calendar more than a few times per day, and every time that they do, they see your agency name imprinted on the bottom. 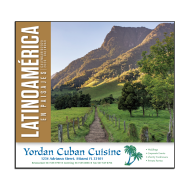 In fact, it has been proven that people who receive a promotional wall calendar, purchase the products and services of the company that provided the calendar to them. 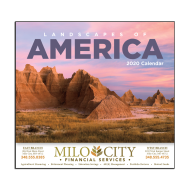 With over 150 different promotional wall calendars to choose from, you are sure to find exactly the right calendar that will appeal to your customers. 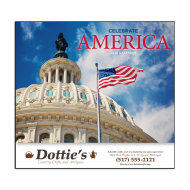 You'll find a wide variety of popular themes for your custom wall calendars. 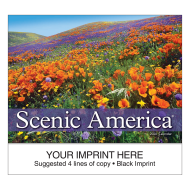 Themes include: Americana, scenic landscapes, travel, golf, puppies and kittens, antique autos, cooking...just to name a few. Make the upcoming year a special one for your clients by sending them your new 2020 promotional calendar. It's sure to be a calendar that they will be happy to hang on their wall.